Home/ Blog / Real Estate Sales/ The Main Lodge Exchange: Speak Now Or Forever Hold Your Peace! The Main Lodge land exchange is proceeding. The federal environmental process (NEPA) and Environmental Impact Statement (EIS) comment period was scheduled to be opened on Feb. 1. So far there have been no public notices, but this is prime time for the public to comment. The EIS can cover a broad range of topics, and specifically when a volume of public comment focuses on it. I’m in favor of the exchange but I have concerns, so here’s some discussion as well as my formal public comment letter. Like I said the “official” comment period hasn’t been noticed, but that shouldn’t hold anybody back from making comments. Meanwhile, the EIS specifically needs to address air quality issues and transportation/mobility impacts. Social and economic impacts to the Mammoth community need to be considered too. The long term planning goals of the Town and the Ski Area have included reducing vehicle trips to the Main Lodge area. There are also the designated portals (entries) to the Ski Area; Main Lodge, Canyon Lodge and the Village, and Eagle Base. In theory, they should all be facilitating an equal amount of skiers. So as the Main Lodge area morphs into it’s glorious future, the other portals need to more efficiently and effectively facilitate a greater amount of skiers and snowboarders onto and off the Mountain. The future plan has always been to have gondolas as the primary lift servicing the other portals (Eagle, Village and Canyon). And this gondola system is planned to deliver skiers to mid-mountain or even the top. Today the Village gondola is still almost the “gondola to nowhere.” Making the paying guests get out of the gondola and forcing them to clumsily move to another chairlift just to get to anywhere reasonable on the Mountain is truly unacceptable in this modern age of ski resorts. In my opinion, the completion of the gondola system must be a contingency of the finalized land exchange, not just some “promise.” Some 20+ years ago the Village gondola base was vowed (by Mountain officials) to become “the Eiffel Tower of Mammoth.” What we got was some bland structure that could not be less interesting. The closing of June Mountain was also a classic example of the disregard for the Forest Service permit and process. And the buyers of Eagle Base real estate were promised a quality base lodge facility over 15 years ago. Promises, promises. 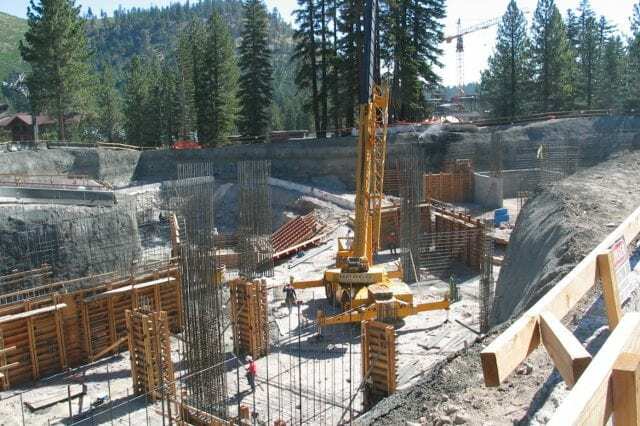 When the focus of the Ski Area’s masters becomes high-end condo development at the Main Lodge property, the nucleus for the gondola/lift/mobility improvements servicing the other portals will certainly get pushed down the priority list. 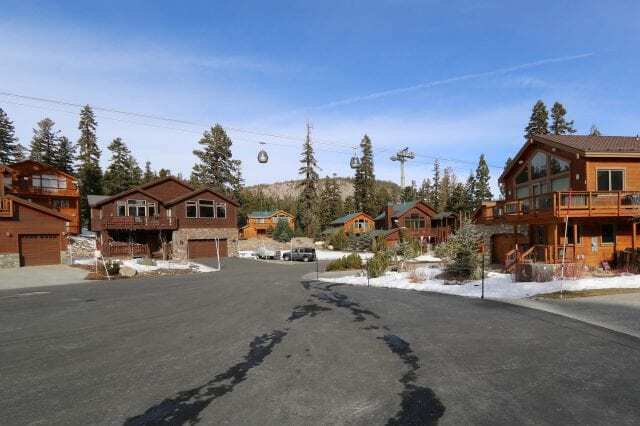 The true completion of the gondola system servicing the Village, Canyon Lodge and Eagle Base is necessary for the community, the paying Ski Area customers, and Mammoth’s property owners. It is the way of every modern and competitive ski resort. During the scoping and notice phase of the NEPA and EIS process for this exchange, I find it necessary for a thorough study and assessment of the air quality issues, the mobility issues, the social and economic impacts to the Mammoth Lakes community, and consistency with historic planning efforts of the Forest Service and Ski Area and the Town of Mammoth Lakes. I am not opposed to the exchange. But I believe the completion of the Mammoth Mountain gondola system must be a contingency of the finalized land exchange for the following reasons (understanding this is a burden to both the Forest Sevice and Ski Area). • The inevitable development and “enclaving” of the Main Lodge portal will economically push more skiers to enter/exit the Mountain at the other portals (which has been the planning concept for years). These portals need to be less congested and modernized. • Completing the gondola system will provide the efficient and effective lift mobility that does not exist today and will enhance and incentivize the current public transportation system. This cannot be a hodgepodge of lifts and segments. It must be complete. The people entering the Ski Area at the Village, Eagle and Canyon Lodge portals simply need better and quicker access to and from the core of the Mountain. 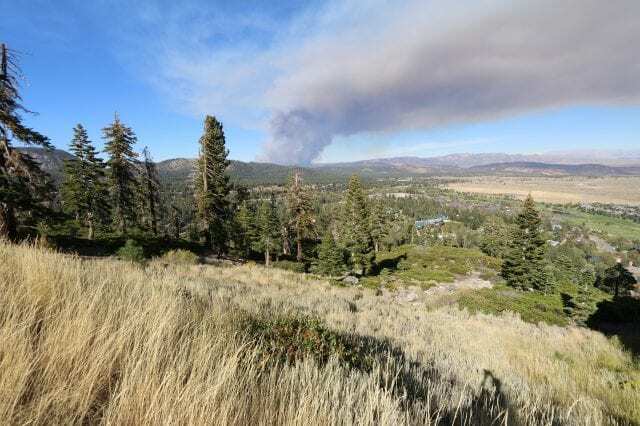 • The Mammoth Lakes General Plan goal; “support transit and minimize auto trips to and from town” and “reduce the vehicle counts to the Main Lodge.” The government is pushing the reduction of air pollution from wood burning for heat. Similarly, they must also move to reduce the other air pollution culprit; unnecessary vehicle traffic to the Main Lodge base area and the excessive use of cinders for road abrasives. • Eventually the prime real estate at the Eagle Base parking lot will be developed. What happens when the lot is no longer available for day skier parking? The new Meridian Blvd. improvements were designed for quick and efficient public transit to move skiers into the core of the Mountain via a capable lift system. Eagle Express is a critical component of the gondola system. • Completing the gondola system can better utilize the snowmaking efforts to the critical runs rather than just underutilized access runs (skiers can “ride” over dirt in a gondola). Further, in consideration of the social and economic concerns, I propose that the cost of the new gondola improvements should be credited to the cash allocation/requirement of the exchange. As you know the government approvals for the land exchange allow the Ski Area to add more than 25% of the exchange value in cash (rather than exchange properties). The gondola improvements will be made on Forest Service land, so I propose a cash credit to the exchange equal to the gondola improvements. Please examine the social and economic impacts of this in the EIS. Unfortunately, Mammoth Mountain continues to use the “financial crisis of 2008” and the current drought as excuses not to borrow cheap money to move on anything beyond capital maintenance projects. They appear to be more focused on servicing past debt than serving the customer (although the snowmaking efforts are pretty amazing). And by not completing the gondola system they are poorly serving their own hospitality guests and compromising the cash flow in the bed base they manage and operate. In drought periods Mammoth now expends massive energy to make snow to create pathetic access trails to the bed base. A place like Whistler simply provides gondolas to let their guests ride over all of that and get to the good runs. In fact, gondola rides have become a bigger part of the attraction. And gondolas are just one piece of the greater service structure that needs to be in place to remain competitive in the destination mountain resort business. Our real competitors including Whistler (the peak-to-peak gondola), Heavenly Valley, Park City, Deer Valley, etc. have, or are in the process of making major gondola improvements. Two weeks ago the ski industry convened in Denver. One of the top and long-standing industry executives described the economic state of the country’s ski resorts by identifying different tiers (and you can figure out what they mean). There are 10 “Uber” resorts, 35 “Alpha” resorts, 125 “Status Quo” resorts, 150 “Survivors” and 150 “Sunset” resorts. No resorts were specifically categorized by name. But the question is; What category do you think Mammoth fits today? And where should it be? Where do you want it to be? But many of the long-time local residents and long-time property owners don’t really care anymore. 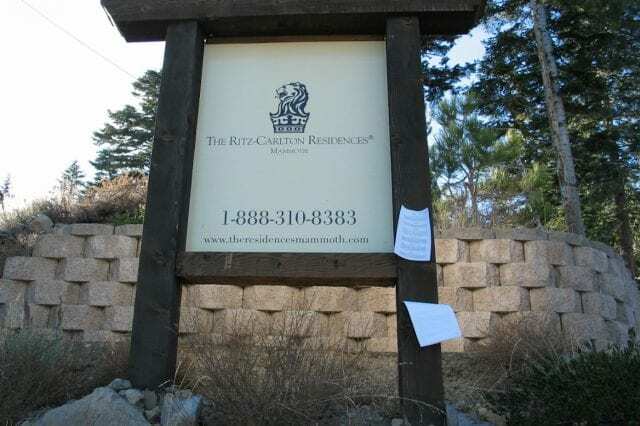 It is the younger crowd of skiers and snowboarders and newer property owners that need to clearly see the obstacles to this resort remaining viable let alone successful. The upcoming EIS phase of the Main Lodge land exchange is the opportunity for Mammoth’s local residents, ski and snow board enthusiasts, and Mammoth property owners to have some say. Now is the chance to influence this exchange and the future, so take the time to write the Forest Service. It is the American way. Yelp! ….. I’ll Never Tell You How Good I Really Am…. Mammoth Real Estate: To Sell Or Not To Sell, Can You Answer The Question?